Everyone has them! Everyone struggles with them! Insecurities!! There is not one person that does not have some degree of insecurity. Some leaders are very inward focused, sheepish, and intimidated by others. Other leaders are very outward and loud and portray an “I’m large and in charge” persona, either way, the issue is the same….insecurity! For a leader the overall, big picture, once and done solution for this issue is a leaders call from God! Either I am secure in the calling He has given me or I am not. Either I am secure in His choice and will for me or I am not. Either my success, victory and peace rests in what He desires to do through me or I am not. If I choose to focus on myself and what I don’t have or do have to be successful the end result is the same…insecurity. But if I choose to fulfill His focus for me, then there is rest, peace, comfort, success and FREEDOM!! 1. We must be Holy Spirit filled! God filled Ezekiel and then He spoke to Him telling him what He wanted him to do (“v.2 and v.4- the Spirit entered into me, and I heard Him, I send you to them and you shall say to them”). We too must be filled by and with the Spirit of God if we want Him to speak to us and know what step to head in next. 2. We must not be afraid! God told Ezekiel to not be afraid of what the people would say or do. (v.6) He told him to not be afraid of how they think about him or how they might “give him looks”. God told him they were a rebellious people and because of that Ezekiel should expect them to talk about him and give him dirty looks and ignore him and what God is saying. Are we any different? Insecurity is a form of fear. when we get all uncomfortable and start worrying about what the people are saying or how they are treating us and then we get all discouraged and down, then we are fearing the people more than fearing the God who called us and told us what to say. Insecurity is a result of trusting in the wrong God, almost idolatry if you will. The enemy is so deceptive in this way in our lives. We must not allow the devil to steal anymore of God’s glory and just trust in the Lord, the one who called us and gave us the message we are to share. 3. We must speak the message! God gave Ezekiel a clear message. regardless if it was what the people wanted to hear it, Ezekiel was to be faithful to the calling from God. Here lies great freedom and faith. freedom, not insecurity, but freedom comes from doing exactly what God has told us to do regardless of what other people say or think. Our faith grows too, because we are trusting in the Lord and His words and for Him to fulfill them. 4. We must be paying attention and listening! (v.8) God told Ezekiel to “hear” what He said to Him. Ministry is busy. Life is busy. I am pretty sure that the devil has his hands in this too. The pastor of the church that helped us get started, Ken Adams, said this…”if the devil can’t make you bad, he will make you busy”. Busy-ness can be stimulating. Also, busyness can be satisfying to a leaders pride. But more often than we’d like to admit…busyness can steal our time from us spending time with the Lord in devotion, study, prayer, simple bible reading, basically, a quiet time! The most important minutes of a leaders day, are the minutes he/she spends with the Lord talking to Him and “listening” to Him (Bible reading and prayer)!! This is not my post, but i thought it was excellent and something i have been screaming about at our church for some time. many disagree with me and i feel like its a fight, but they truly dont understand the true mission and purpose of why the church exists. The article is pt. 1 of 2 from a guy named Mike Breen. I got to hear Mike Breen of 3DM a few weeks ago and it really encouraged me to renew my efforts to lead our church -Back to the Future – ha, no really, going back to the original mission of our church IS the future of our church!! …It’s time we start being brutally honest about the missional movement that has emerged in the last 10-15 years: Chances are better than not it’s going to fail. This is the crux of it: The reason the missional movement may fail is because most people/communities in the Western church are pretty bad at making disciples. Without a plan for making disciples (and a plan that works), any missional thing you launch will be completely unsustainable. Think about it this way:Sending people out to do mission is to send them out to a war zone. Discipleship is not only the boot camp to train them for the front lines, but the hospital when they get wounded and the off-duty time they need to rest and recuperate. When we don’t disciple people the way Jesus and the New Testament talked about, we are sending them out without armor, weapons or training. This is mass carnage waiting to happen. How can we be surprised that people burn out, quit and never want to return to the missional life (or the church)? How can we not expect people will feel used and abused? -I have been asked in recent months what is plan b if the old winn Dixie bldg. that we have been talking about leasing as a new worship space doesn’t work out. What is plan b? -this question has launched an avalanche of questions in my heart about the future of Crossroads. Many of which I to this day still don’t have answers to. There is a constant tension within me that never goes away. -walking as Jesus walked has wide applications for us: our strategy, our style of leadership and ministry= servant leadership, servant ministry…Jesus’ ministry was crowned with characteristics like compassion, mercy, forgiveness, love, grace, meeting needs, practical help and teaching. -the plan b question has launched other questions, like where is Crossroads going to land as some sort of permanent home. A week ago, pastor in our community told me to enjoy the temporary meeting location (school) as long as we could, he said, “once you get into a building, people have a tenancy to get settled in and to put their stakes into the ground”. -as I drove back to work from that meeting I just cried. B/c I in no way ever want to be settled. I in no way ever want to feel like we have arrived or that we don’t ever have to work anymore -now I just want you to know I am in no way interested in us ever getting a bldg. if we think for one minute that we have finally made it and we don’t need to work anymore. -I am not interested in us having a bldg. that is just open one day a week for us to gather and worship. How self serving is that? It cannot ever be about us!! This is why we are changing the name of the no more set up fund-no more set up is about us, so we don’t have to set up, but Reaching Walton, is all about reaching our community and we must start here, right here. -as I said a few weeks ago we will never be rewarded with much if are not faithful with little. We will never be rewarded with reaching unreached people groups on the other side of our globe, if we don’t reach those right here in front of us. We must start here!! -the plan b question also led me to ask, what is Crossroads Church going to be known for??? Are we going to be just another casual, contemporary church that has slick graphics and cool music, or are we going to be known as a church that is changing lives and destiny’s forever? -what is our attitude toward reaching people? We should want to help people realize God’s love and to see their lives genuinely changed forever!! -we are a disciple-making church, which means we meet people where they are and help them take their next step toward God. 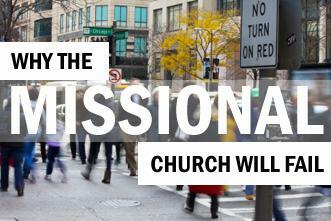 Everyone has to have this as their own personal mission– to be and build disciples. -But!!!! There are too many church people who are here for themselves. Do you actually realize that there are people who think they were saved for themselves?! They think the church is here strictly for them. Such pride!!!??? -we too will bring God glory on earth by completing the work he gave us to do. -we must live with the attitude that if no one else will, who will? we will!!! We cannot depend on the church down the street to fulfill our mission, it is our mission, we must work at it, all the time, and unlike a mission trip mission, this one does not have an end date in this life. It never ends. We are always on mission!! -People matter to God, and we must pursue them b/c they need to know of His love. -to do this we are going to have to get down and get dirty. We are going to have to get close to people, and they are gonna smell, they are gonna be dirty, b/c their lives are gonna be all screwed up with immoral living, addictions, selfish marriages, messed up parenting skills, irresponsible with their finances, worldly values, bad habits, and foul language, and the list goes on and on…..
-if we are going to “walk as Jesus walked” we are going to have to have a ministry mindset like Jesus, one of compassion, care, and help for those who have no one pleading their case, the ones that are close to the heart of God, b/c he mentions them over and over in the bible. -if we are going to “walk as Jesus walked” we must minister to the ones that are close to the heart of God, the poor, the widows, and the orphans. -to reach the ones that are close to the heart of God, we are gonna have to be ok with being up close and personal, we are gonna have to be like Jesus, we are gonna have to be willing to spit in the mud and pick it up with our hands and rub in someones eyes. -in other words we are gonna have to be willing to get our hands dirty– you cannot make a disciple from a distance, its up close and personal it’s involvement in someone’s life, you got to get emotionally involved. -the alternative is to sit back and be critical of others, judgemental, prideful, self-serving, all the things Jesus yelled at the Pharisees about!!!! Realize you are the method! -there is no plan b, b/c you are it!! -what I am talking about is going to take more, more from everyone. More sacrifice. More money, more time, more people, more commitment, more energy, more focus, more everything. -making a disciple is not easy. It is hard work, but nothing is more rewarding than to see a person that you are investing in cross the line of faith and then begin to grow. -who is in your life that you are intentionally making a disciple of???? Face and a name?? ?—are you authentic???? -we are at a turning point. We must make a decision. Who is Crossroads? What are you gonna be known for? Not what is mike gonna do, the office or the staff, but you. I want to make a difference in heaven. I want to take as many people there with me as possible. You need to make a commitment today! Become a disciple maker of all people groups and more specifically the poor, widows, and orphans!! I was watching the news this morning and listened to the spin doctors express their views on the economy, President Obama’s popularity, and the fight for the Senate and Congress between Democrats and Republicans that will all climax this November. I will admit, I was troubled. Not so much by the “news” related to all those issues but by the division of our country and they way elected officials are fighting for power. I do not presume to be smart when it comes to politics, so there is a lot I don’t know, but, our country is in trouble. We do have a need for politicians and the goals they have for the people of our cities, counties, states, and country. But there is a greater problem here that goes way beyond a quest for power of control of “seats” that I don’t hear anyone addressing. I am not surprised by that though, because the issue is primarily a spiritual one and since our country has separated politics from religious beliefs, then one can understand why this issue is not being addressed. The issue is unity! In the above passage, Jesus clearly states that we are in a bigger trouble than we are admitting. we will not be able to stand over the long haul…not because we are broke, even though that will have an effect, but mostly because we are a “kingdom” divided and such kingdoms fail. what a sad reality. 1- are always on the cusp of drifting away from God. 2-we have less to pray for and less of a dependence on Him. 3-are tempted toward the “myth” of self-sufficiency. 4-are forever fighting pride and losing humility. These thoughts from a book I am reading right now resonate with me and with what I listen and watch on the news as it relates to where we are in our country. It’s disheartening! hey all, i’m out again a few days this week on a personal prayer retreat. I’m seeking the Lord for wisdom and direction in my life and the ministry and leadership of Crossroads. I welcome any and all prayers, Thanks! don’t forget to check our teams blog site for daily updates! !